The team is announcing their new brand identity, the crest will be revealed on November 12. The team is set to be apart of the MLS (major league soccer) next year instead of the USL (united soccer league). The club was in the USL for a total of three years but will no focus on the making of their MLS team and what they need to do to be a successful team in that league as well. FC is also set to build a brand new stadium now that they are moving into a bigger league and will no longer be sharing Nippert Stadium with the UC Bearcats. 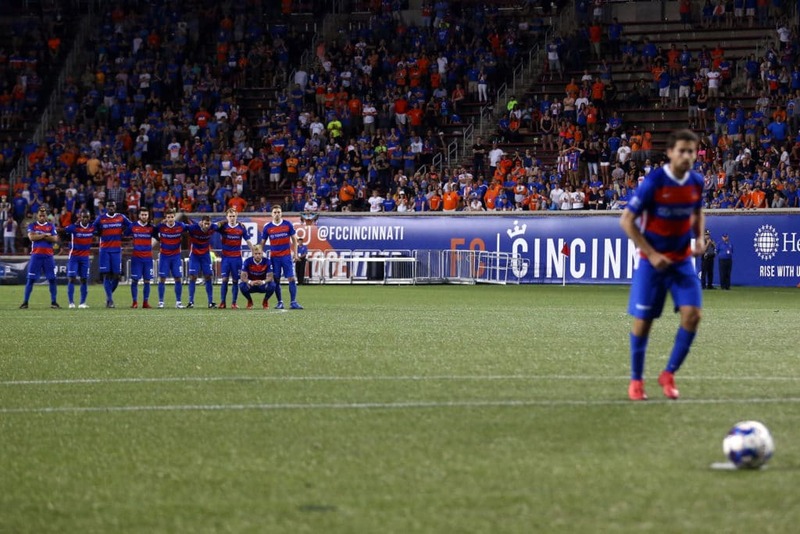 On the FC Cincinnati home page, this is what they have to say about the new field, “Our club believes the arrival of Major League Soccer in the Queen City will help elevate our city and community. Our pledge is to build a stadium that will not only serve as a home for the beautiful game in Cincinnati for generations to come but also be an asset to the community of which it will become a member. To ensure sure our supporters and community have accurate information as the discussion continues, use this page to keep up-to-date on all things relating to our club’s pursuit of a soccer-specific stadium that will one day house it.” The stadium is to be built in the west end of town and the name and the team is to start playing there at the beginning of the 2021 MLS season. Currently on average, the team averages around 24,645 fans per match. The new stadium is said to have between 25,500-26,500 seats with a total cost for the new stadium to be around $212.5 million dollars.